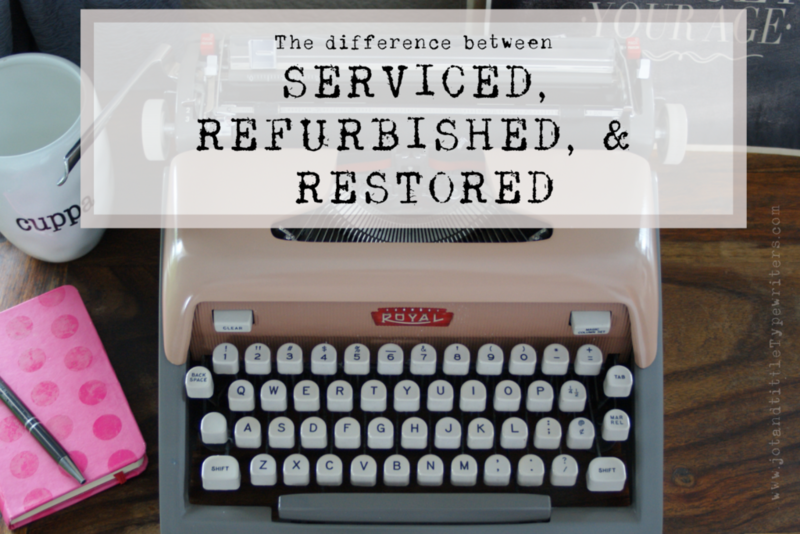 What’s The Difference Between Serviced, Refurbished, and Restored Typewriters? 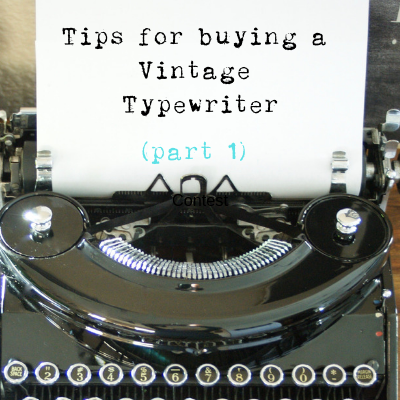 This is PART 2 on Tips For Buying A Vintage Typewriter. Read Part 1 here. If you’ve been shopping for a vintage typewriter, you’ve probably been a bit confused at the wide range of prices. The price for a vintage typewriter can start at $15 at a garage sale to $5000 (or more!) from a well-respected restoration specialist. To make sure that you are paying the correct price for a machine, you’ll need to understand the difference between Serviced, Refurbished, and Restored. 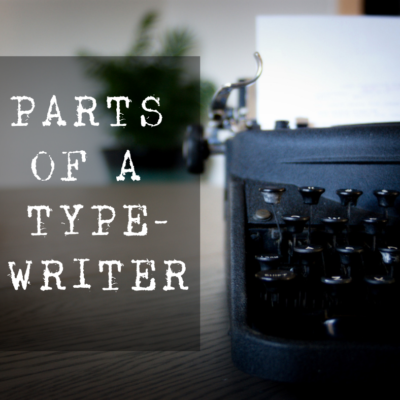 The amount of work that goes into a typewriter greatly determines its price point (or should). 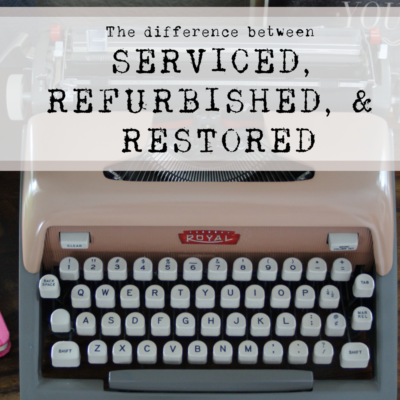 This post focuses on clarifying the difference between SERVICED, REFURBISHED, AND RESTORED. Having a grasp on the specifics of each type will manage your expectations and reduce frustrations from the beginning. Also, it will help you know if the seller is asking an appropriate price for a typewriter. Unserviced typewriters generally are priced under $100 for manuals and under $60 for electrics – or should be. (Unless it’s an extremely rare typewriter). Occasionally, you’ll find a gem in an unserviced machine. Carefully stored and maintained machines don’t need much servicing, but they are hard to find. TIP: Looks can be deceiving! The servicing involved will vary from seller to seller. Serviced typewriters do not come with any warranty or guarantee. They are repaired to a point that the machine is in a workable/manageable condition. Any unresolved issues should be identified by the seller in the description. But understand that you will most likely need to have your typewriter serviced again at some point in the future. 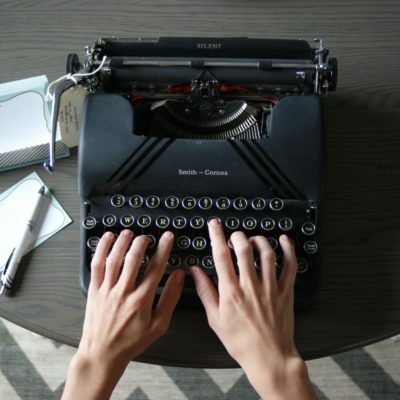 Tip: Serviced typewriters are an affordable and suitable option for most people looking for working typewriters. Refurbishing involves PROFESSIONAL servicing. More detailed repairs by skilled, experienced hands. The mechanics are thoroughly cleaned and repaired. Defective and worn parts are repaired or replaced. 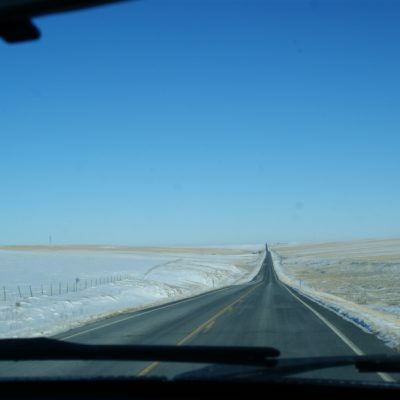 The finish is often redone. The decals may or may not be replaced. 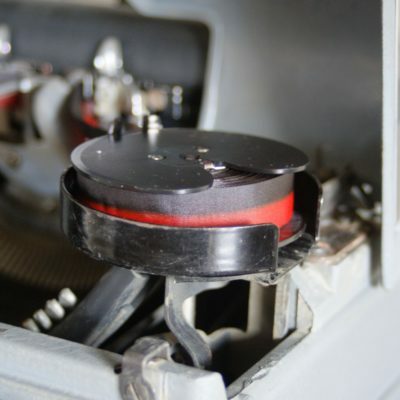 The typewriter is usually taken apart and the mechanics are soaked in special solutions to remove all grease, grime, and rust. Prices usually start around $400-500 and go up. 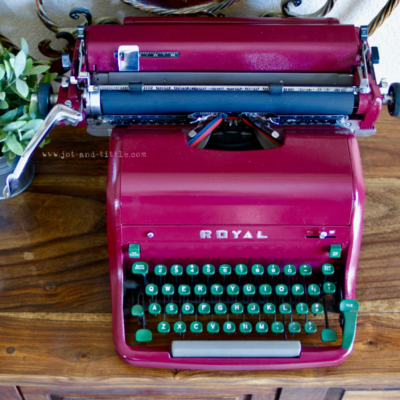 Refurbished typewriters work beautifully and are smooth typers (like good Bordeaux wine). However, they maintain their character as they’ll still have signs of age and wear. Refurbishing professionals focus on REPAIRING EXISTING PARTS. Talented service folks work hard to get a vintage machine in tip-top shape. The typewriters look amazing, work well, but may still carry the imprints of their age. 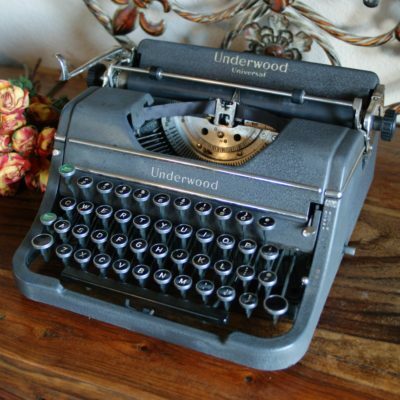 TIP: Refurbished typewriters are the ideal option for folks with a bigger budget and are willing to pay extra to have a machine with a warranty. Restored typewriters stand out as the best you can get. Gutted and rebuilt with NEW REPLACEMENT parts, restored typewriters make your jaw drop. Sleek lines, perfect paint, new decals, shining keys, and impeccable type. Expect to pay thousands of dollars for these beauties. They are literally a new machine. Prices start around $1-2k and go up from there. TIP: Restored typewriters are specifically marketed to collectors of fine machines. These are not practical purchases unless you have extra cash and you want a show piece in your home or office. CAUTION: Some new sellers of vintage typewriters either knowingly or unknowingly try to sell you unserviced typewriters at a serviced or refurbished price point. 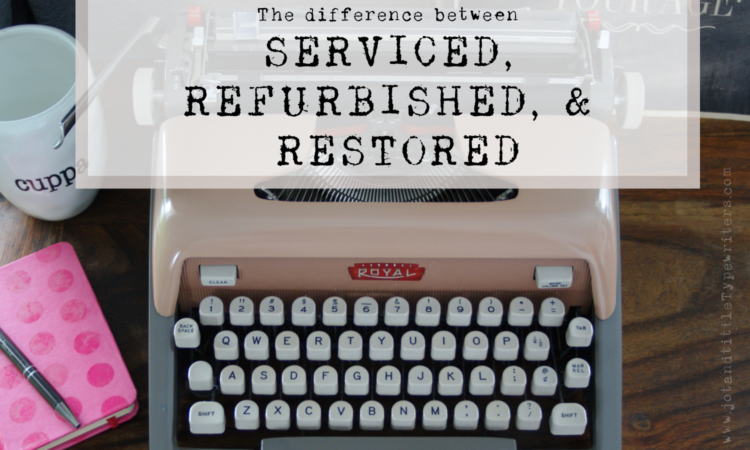 If you purchase a typewriter that needs repair, you can expect to pay $85 and up – IF you can find a service person in your area. 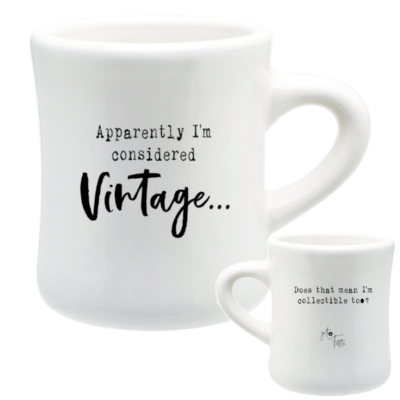 Finally, remember that you are purchasing a VINTAGE item. It’s not going to be perfect (unless it’s Restored). You are always taking a chance when you buy something old. It may work one day, and the next day it won’t. That’s part of having a vintage item. Here’s a basic rule of thumb: Understand what work has or has not been done then compare prices with other machines of the same make and model. When you see the exact same typewriters with huge price variations, read the descriptions to make sure that the higher price points are by sellers who are offering a better quality machine. If you have additional questions or have suggestions for topics, pop us an email here!